With the season ending for the Bassmaster Elite's, most angler's are taking a break and getting ready for the upcoming 2018 season. The Rod Glove Elite Randy Howell is once again donating his boat to King's Home. 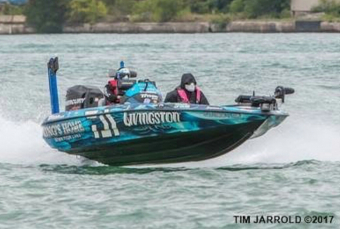 All donations allow everyone a chance to win his boat and accessories that he drove this year. Once again Randy Howell is donating his 2017 Triton TRX21 to King's Home in Alabama to help raise funds for this great organization. King's Home has been home to hundreds of youth, women, and children seeking refuge, hope, and help from abuse, for over 40 years. By helping teenagers being raised with values and love, they help those that would otherwise may have been neglected or abandoned. At this time of year of giving, why not give back to a great charity while taking a chance of winning a new bass boat. Here is a video from Randy Howell showing the winner picking up his boat from 2016.